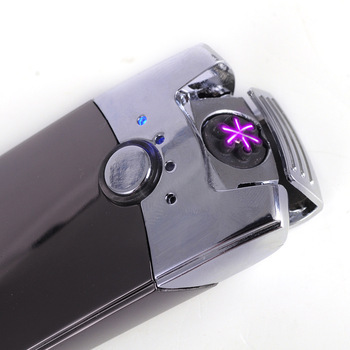 Updated revolution of Kivors Plasma Dual Arc Beam Lighter – top dual arc with fully opened protective cap. 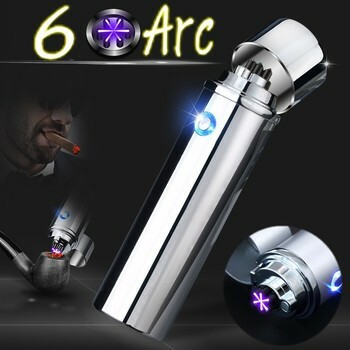 360°unobstructed access to the double arcs – perfect for lighting Cigar, Pipe, Bowl, Cigarette, Candle, Incense, Campfire and more! 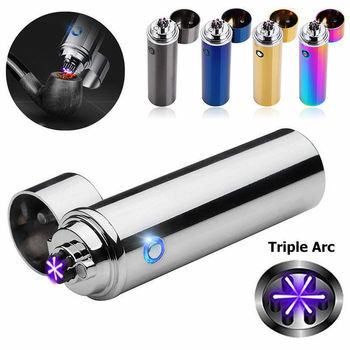 Bottom Power On/Off Switch offers extra safety and helps to save power when the lighter is in no use. USB Rechargeable – ships with charging cord, easy to charge and use, light at the click of a mid button. When charging, the indicator light is on and the indicator light turns off automatically when it is fully charged. 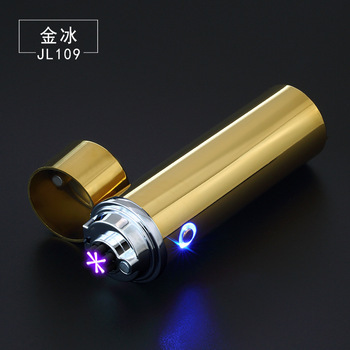 Once charged completely it will hold a charge long enough to light up a cigarette up to 100-200 times on that charge. The product has no box and all are packed in exquisite cloth bags.